Over the last few years, I've become really particular about the type of products I use on my skin. The change started once someone told me that our skin is an organ (mind-blown, right?!) and that what we place onto it, seeps into our body. Because of that (and especially while pregnant), I've been extra careful to make sure whatever I'm putting on my skin will be good for it and not let harmful toxins into my body. One of my favorite new-to-me skincare brands lately has been OSEA Malibu. Their ingredients and packaging are BOTH non-toxic, and their products are vegan, cruelty-free, gluten-free and non-GMO - all of which are extremely important to me as I try to become a more educated and conscious consumer. THey're also a female-founded, family-run business based out of one of my favorite spots in the world, Malibu. You guys know I can't resist supporting my fellow girl-bosses! Brightening Serum: After I apply my face oil, I use this light-weight, radiance-enhancing serum. It's been helping me even out my skin tone and keep me feeling moisturized. I'll apply a dime-sized amount on the top of your my, and use my ring finger to dab along orbital bones, chin, and across my forehead then spread lightly. I'm careful to not massage into my skin because your fingers will absorb the majority of the serum! Gigartina Therapy Bat: 've been using this bath soak multiple times a week since it arrived. It keeps my skin super soft and has been one of my favorite pregnancy indulgences. The organic Gigartina Seaweed activates upon contact with warm water, revitalizing skin with a silky infusion of vital minerals, antioxidants, vitamins and essential fatty acids...taking self care to an entirely new level. White Algae Mas: ince my biggest skincare issue is brightness, this mask has been great for my dry, sensitive skin. Its age-defying properties balance the appearance of uneven skin tone and soothes redness. I try to use this once or twice a week. Essential Corrective Complex: I've been using this as a spot treatment with all the blemishes popping up with my constant change in hormones...it is the only one I've tried that works. After becoming addicted to all-things OSEA, Celadon Spa (right by Metro Center in DC) invited me to check out their new OSEA Deep Sea Facial. 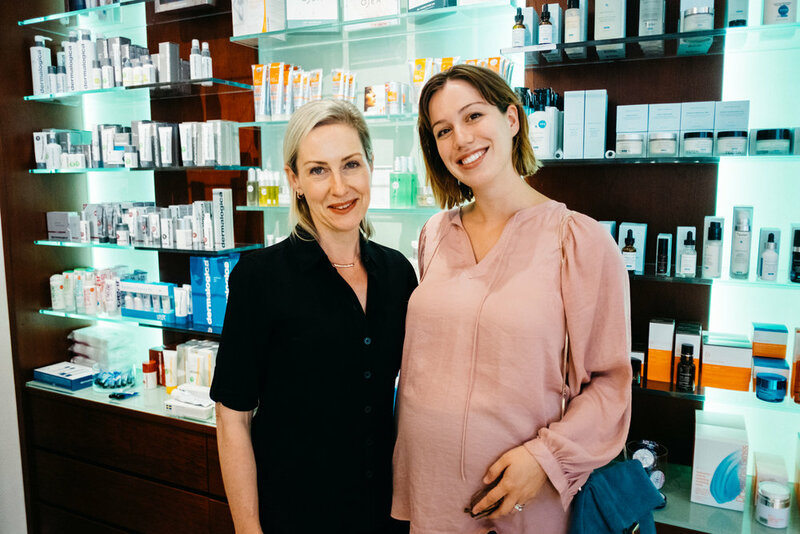 I'd been wanting to check out Celadon and indulge in a little pregnancy pampering, so I was pumped to visit! When you walk into Celadon, it's clear they know their stuff. They carry all my favorite hair care (hello, Oribe!) and skincare brands too. 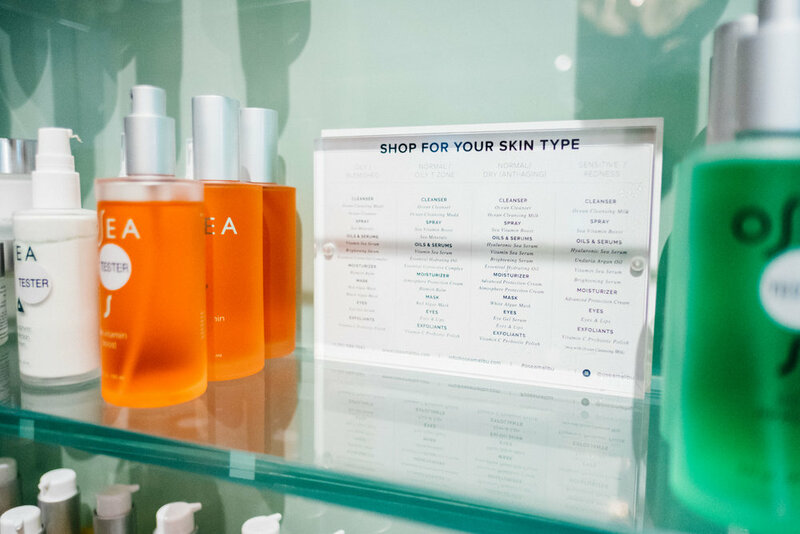 Their selection of OSEA is great for anyone wanting to try out their products. After arriving, I met my master esthetician and owner of Celadon Spa, Judith (aka my new favorite human.) I've had a handful of facials throughout my life, and this was by far, one of the most wonderful experiences I've had. The mineraling seaweed they use is made every single day, and my skin was visibly brighter, more moisturized afterwards. The relaxing massage part of the facial is intended to plump and nourish skin, and I love that she incorporated some shoulder and arm massage as well. It was so enjoyable, I've already talked to my mom about watching the baby so I could come back post-birth! If you've been looking for an amazing facial, I would highly recommend visiting Judith at Celadon Spa and doing the OSEA Deep Sea Facial. AND! As a bonus, when you mention that you found out about the spa through yours truly when booking, you can get 20% off your facial!! Special thanks to OSEA and Celadon for organizing this fun afternoon for this mama-to-be! And special thanks to Urban Chic Media for snapping photos of me at Celadon Spa!